Bethesda’s newly announced The Elder Scrolls: Blades is already up for pre-order. If you missed it, Bethesda had a big mobile showing at their E3 press conference. After announcing big changes and updates to The Elder Scrolls: Legends and then discussing ports of it to consoles, they announced a brand new touch RPG that is an Elder Scrolls game. 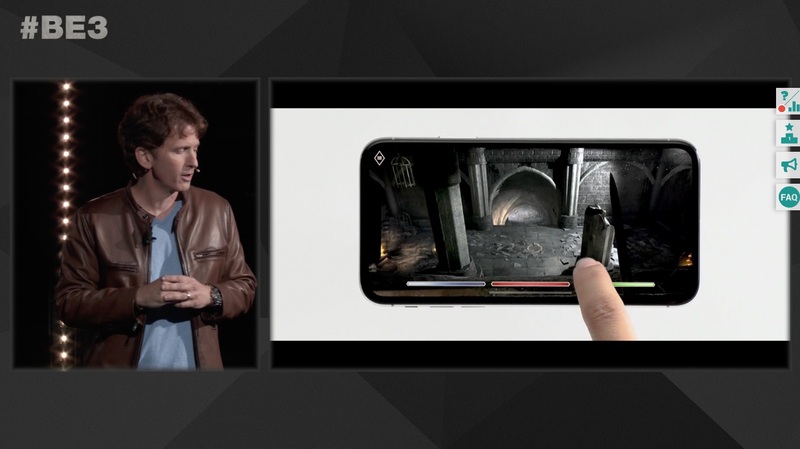 The Elder Scrolls: Blades can be played in both portrait and landscape modes and is cross platform. Blades will let you play through a new single player storline, customise your city, get involved with PvP in a 1v1 arena, and more. The Elder Scrolls: Blades is also up for pre-order on the App Store right now for free. On iOS, it needs iOS 10 and later. You can also pre-register for it on Google Play right now here. It will be free on both platforms with in app purchases. Bethesda also announced The Elder Scrolls: Blades will be coming to every platform they can port it to including consoles and PC. They also said it will be true cross play through your Bethesda.net account. Blades is releasing on September 1st going by the App Store listing. You can register on playblades.com. for early access.